Drifters in search of work, George and his simple-minded friend Lennie, have nothing in the world except each other - and a dream. A dream that one day they will have some land of their own. Eventually they find work on a ranch, but their hopes are doomed as Lennie - struggling against extreme cruelty, misunderstanding and jealousy - becomes a victim of his own strength. 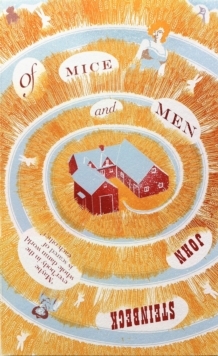 Tackling universal themes, friendship and a shared vision, and giving a voice to America's lonely and dispossesed, OF MICE AND MEN remains Steinbeck's most popular work.